France in London | With marzipan, sugar or chocolate filling? With marzipan, sugar or chocolate filling? 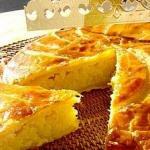 How do you like your ‘galette’? This is the time of year when all good French patissiers (and there are lots of them in London) produce their own versions of the seasonal speciality eaten on or around the Feast of the Epiphany on 6th January. Traditionally the ‘galette’ contains a ‘feve’ , a small ceramic medallion or token of the newborn Jesus, marking the arrival of the Three Kings. According to certain historians, this is yet another aspect of Christmas which has been lifted from the Romans, who ate similar offerings to mark Saturnalia, the Winter Solstice. Regardless of its origins, the tradition carries on and many French families will still send the youngest family member under the table to select which slice goes to which person. 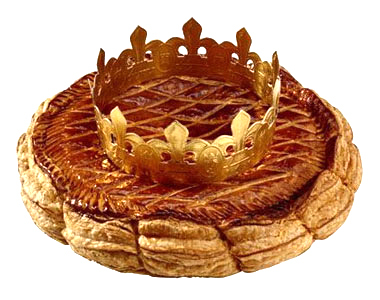 The slice of ‘galette’ containing the token makes the person King, or Queen, of the event, with the right to choose and crown their royal partner (hence the ‘galette’ you buy should come complete with a golden paper crown – generally better, but not by much, than the crowns from Christmas crackers that Brits force onto their heads on Christmas Day). This year’s King or Queen sometimes also gets the right to buy next year’s ‘galette and sometime has to crack open a bottle of champagne. 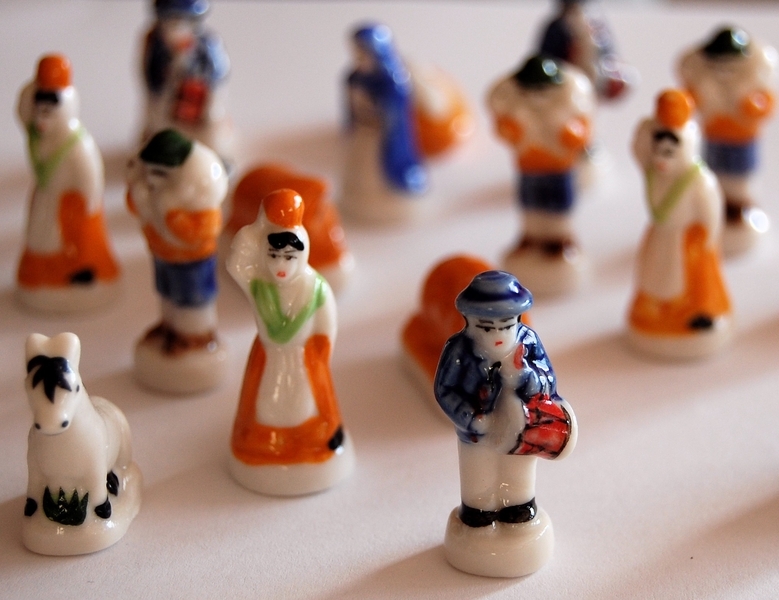 In recent years, enthusiasm has grown for collecting the tokens themselves, which come in many different shapes and sizes. From a dry bean (the original meaning of the French word, ‘feve’), to gold coins (much like the traditional sixpence in Christmas puddings) or cartoon characters, the tokens can be much sought after. Real fans can also visit a museum in Blain, in Loire Atlantique, which houses a collection of 20,000 objects. Clearly, a treat not to be missed. Whatever you try, don’t swallow the ‘feve’!